This was actually a meal that I requested to go to. I have always loved Winnie the Pooh and have never met the 100 Acre Woods gang. 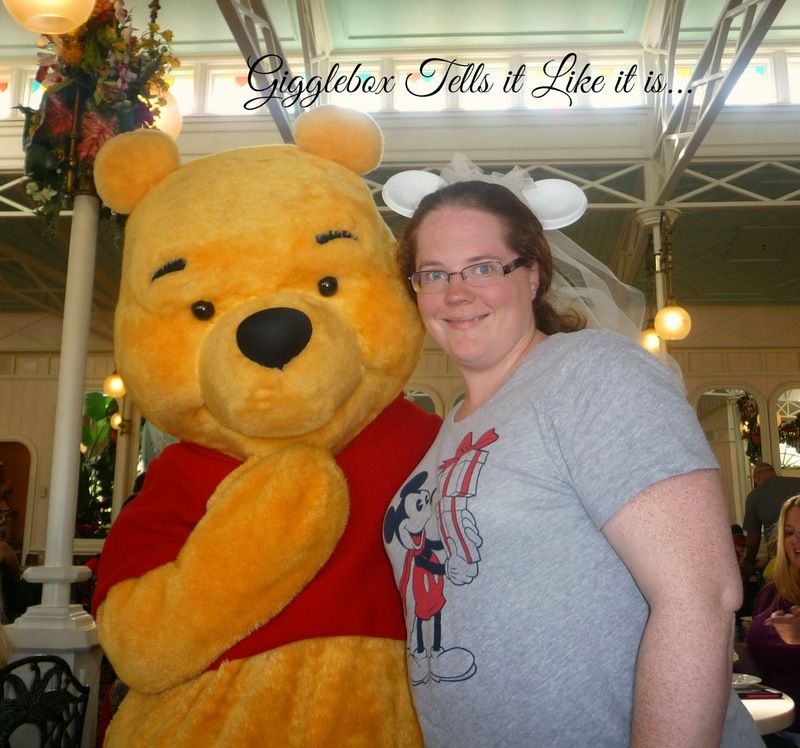 I knew that it would be a hit or miss with Michael, but thought that he might enjoy it since his nursery was decorated in Classic Winnie the Pooh. We decided to go with the lunch buffet, but at an early time. For more information about the Crystal Palace, click here. Since we had picky eaters with us, I had looked at the menu before we even made the reservation to make sure there was something that Jon and Michael would eat. 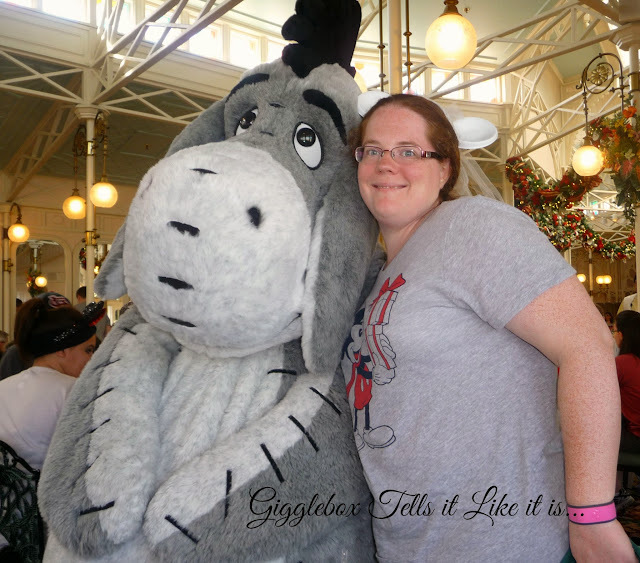 Even though we had reservations, we still had to wait to be seated. While we sat on the Crystal Palace's porch, we were able to watch the show that was going on in front of Cinderella's Palace. 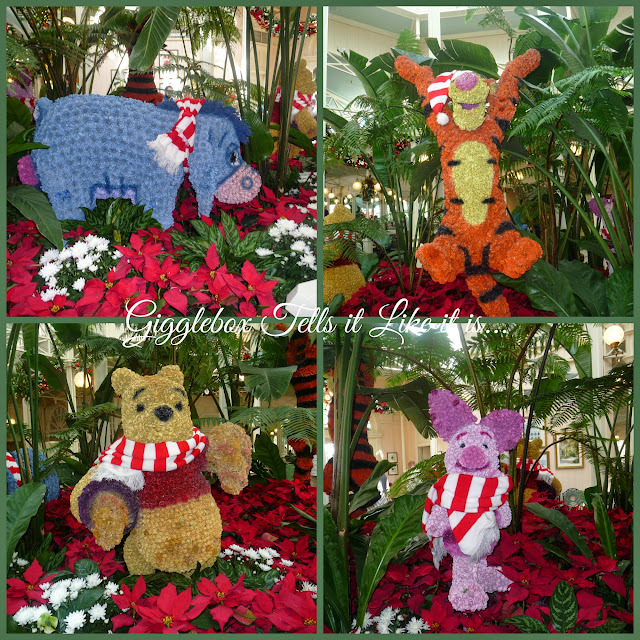 When we walked in, we were greeted by these beautiful floral arrangements of the characters we were going to meet. Once we got to our table, we placed our drink order and then headed up to the buffet. 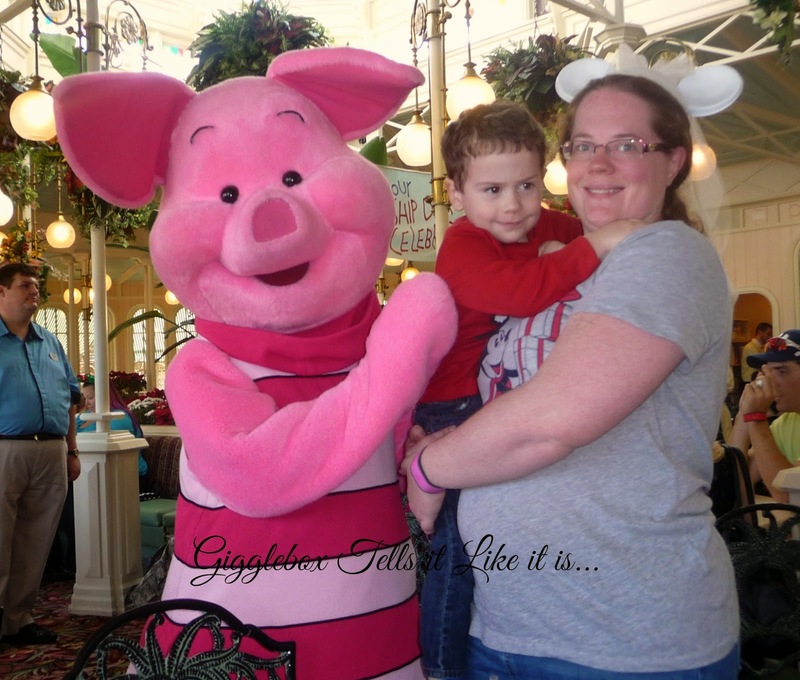 While we were eating, Piglet came by. We got his autograph on his special Crystal Palace autograph page for Michael's autograph book (Making your own Disney autograph book). We also got a picture with him. Make sure to have your cameras out on the table because they do not have a photographer with the characters at this meal. Eeyore stopped by not too long after Piglet. Michael had decided that he would start hiding under the table when the characters would come by. Winnie finally made his way over to our side of the restaurant. Yes, Michael was under the table hiding even when Winnie the Pooh came over. 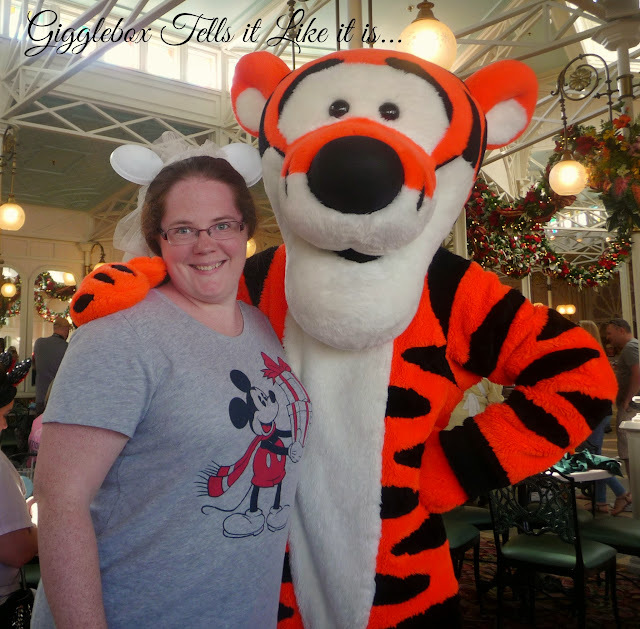 We made sure not to leave until we got to meet Michael's favorite, Tigger! Yep, he still didn't want to have anything to do with him. 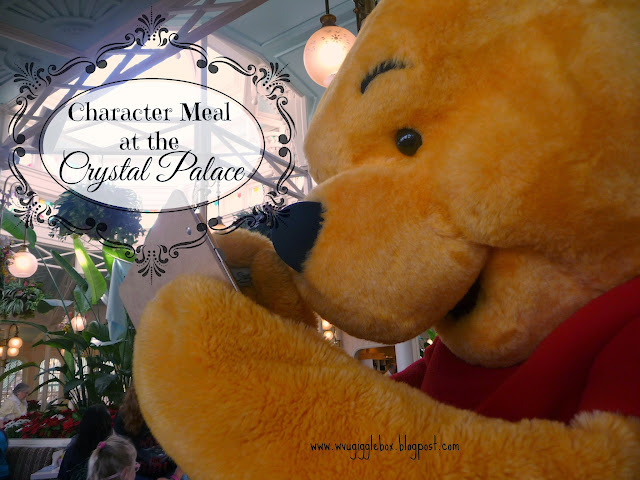 If you love Winnie the Pooh, definitely make reservations for the character meal at Crystal Palace. We had a great time and Michael enjoyed the ice cream and cookies!